Came to this pizza joint on the recommendation of my hairdresser of all people. I've been wanting to try out more restaurants in Kennedy Town, especially Bistronomique right next door which unfortunately was booked for the Friday evening. I arrived at around 8:30pm and there were still two empty tables in the very small restaurant. Next door there was a thriving take-out pizza stand which I must try next time. 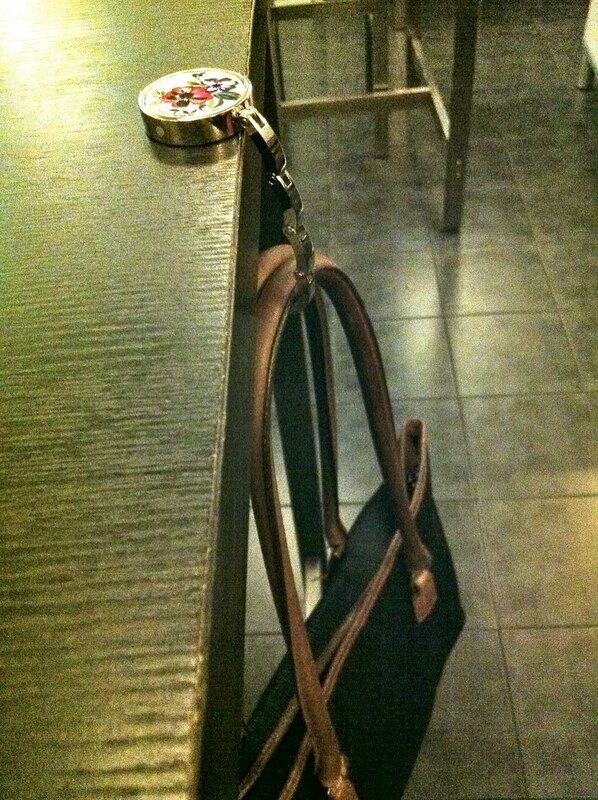 I liked that Zig Zag gives you a little bag holder to hang your bag. So useful! We ordered their wings with herbs and a maxi pizza to share between the two of us. You can order the pizzas half/half and in either mini or maxi size. I think the mini cost $101 while maxi is $208 and 3x bigger. Quite pricey though. The pizza fared a lot better. One of the best pizzas I've had in HK - definitely blows Paisano's away and probably is on par with La Gondola. We opted for half Hawaiian (I hate how Pizza Express doesn't stock pineapples...) and half pepperoni and added mushrooms to the whole thing. The crust was really thin and crispy around the edges, and the pizza was oozing with cheese and tomato sauce. The hint of thyme made it all the yummier. I thought the Hawaiian was much better than the Pepperoni side and I happily inhaled my first few slices while the cheese was still piping hot. Delicious! The only gripe I'd have is that they cut the pizza into really small sizes which makes it kinda hard to eat (I like to fold my pizzas to eat sandwich-style). Other than that, superb!